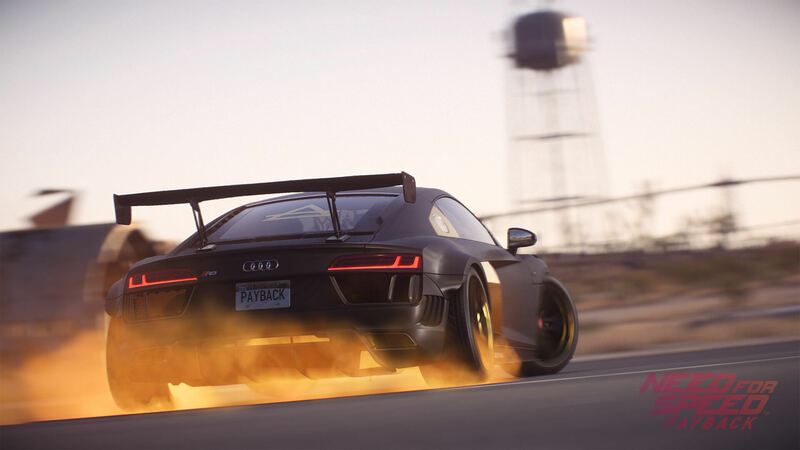 Need for Speed Payback has a substantial update coming next month introducing a bunch of new cars, features and improvements based on fan-feedback. It’s been a while since we’ve had an update on the latest open-world racer from Ghost Games, with the last patch in March introducing new vehicles and activities to enjoy in the game’s online freeroam mode. 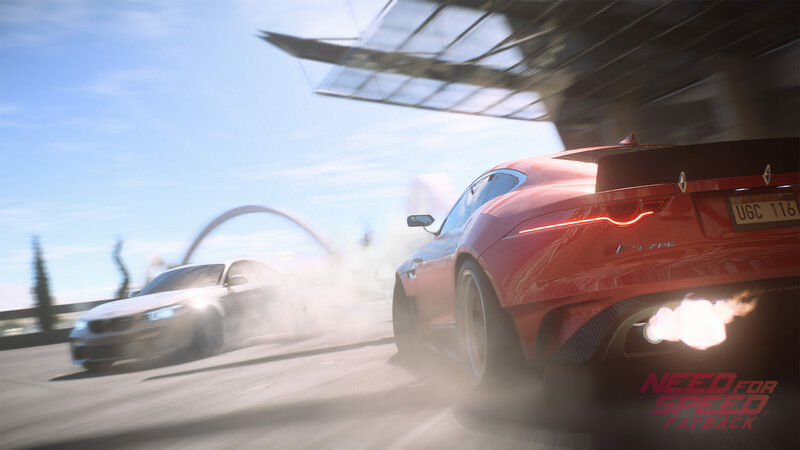 In the June update, Ghost Games say it has “fine-tuned Need for Speed Payback with tons of great suggestions from the community.” This includes a major boost for every car that allows them to reach Level 399, improvements to Speedlists, customizable quick races in freeroam, and more. The update drops on June 19th, 2018, so there’s a three-week wait before we’ll be able to get hands-on with it. Regardless of the waiting period, there’s a lot of new features and content coming that should please fans who are still enjoying Need for Speed Payback. Let’s take a closer look at the June Update. 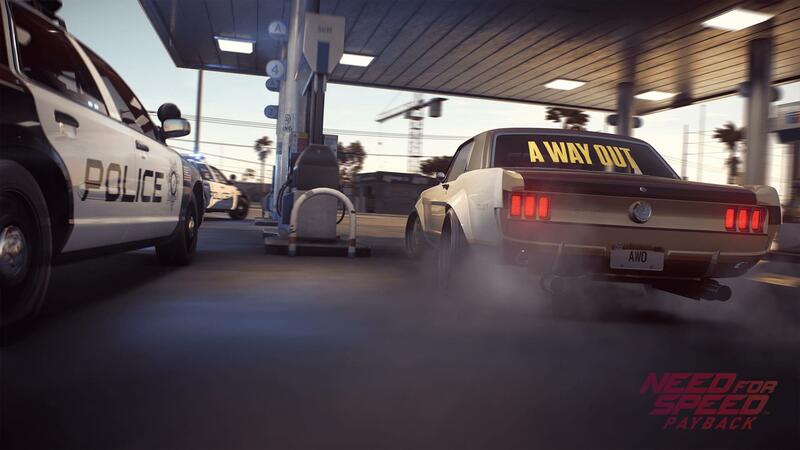 AllDrive was added to Need for Speed Payback in February to suffice for the game’s lack of an online freeroam mode at launch. Initially, it was a barebones experience. You could explore the map with your friends, buy and customize cars, and organize car meets. In March, the team added its Forza Horizon 3-inspired stunt activities to AllDrive, including Drift Zones, Speed Runs, Speed Traps, and Jumps. With the June Update, players will be able to beat their friends, anytime, anywhere by creating their own races in AllDrive and inviting everyone in their Hangout session to join them. Simply select a destination to race to, send an invite to other players in your game server, and be the first to drive across the finish line. In addition to the ability to race with your friends in AllDrive, the June Update will also introduce a Chat Wheel to freeroam. Ghost Games says it has recognized all the creative ways the community tries to communicate with each other in the AllDrive mode – and now it wants to make that experience even better. The Chat Wheel offers a selection of different emotes and choosing one will see it appear above your car for other racers to see – or as an indicator on a friend’s screen, if they’re not looking at your ride. Now you’ll be able to tell everyone else in the AllDrive session how you feel with ease. Don’t like someone’s choice of livery? Tell them about it! Perhaps you dig their car choice? Let them know! In its last update, Need for Speed Payback introduced Eddie’s Skyline – the first car that made the jump from Level 299 to 399. With this upcoming patch, all cars will be able to reach a maximum level of 399 – up from the current level cap of 299, allowing these cars to be equipped with parts from Level 13-18. This has been one of the most requested changes from players, and in June, it will finally become a reality. 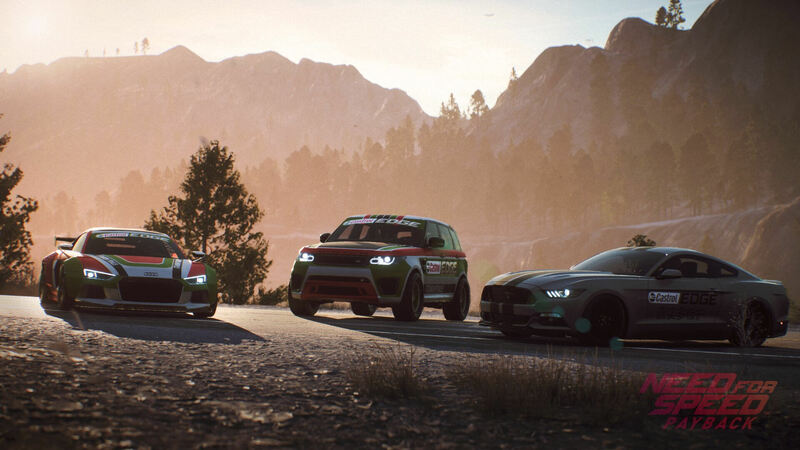 In addition, three new cars are also being added to Need for Speed Payback on June 19th. 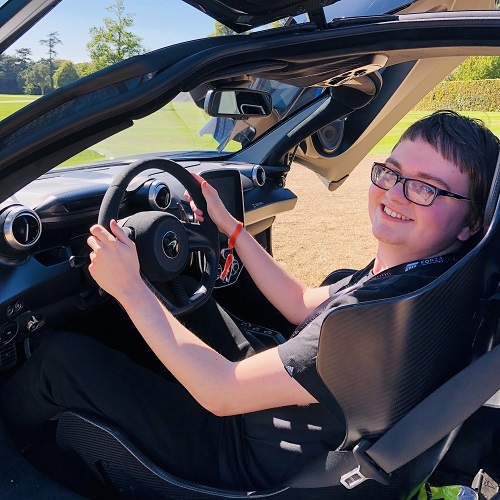 These include the Alfa Romeo Giulia Quadrifoglio, the Chevrolet Colorado ZR2, and the Land Rover Range Rover Sport SVR. These will be acquired in the form of paid downloadable content as a standalone purchase, but the exact pricing has yet to be revealed. 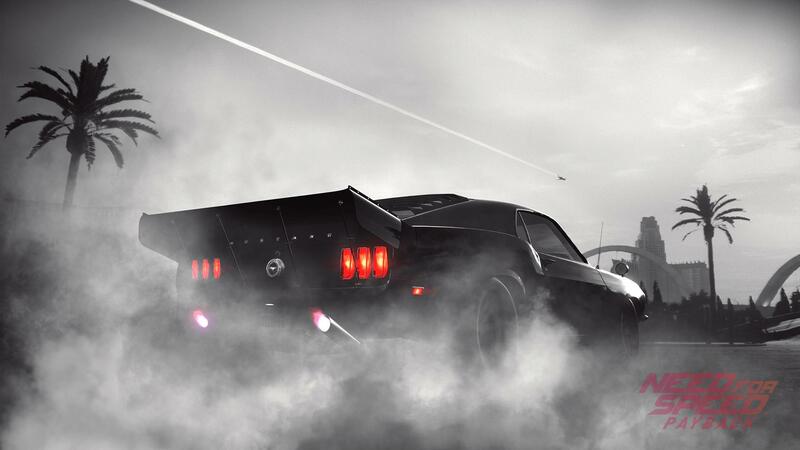 New Abandoned Cars are coming to Need for Speed Payback in the form of all 10 Street League boss vehicles. Plus, there’s also some “iconic Need for Speed rides” being added as well. 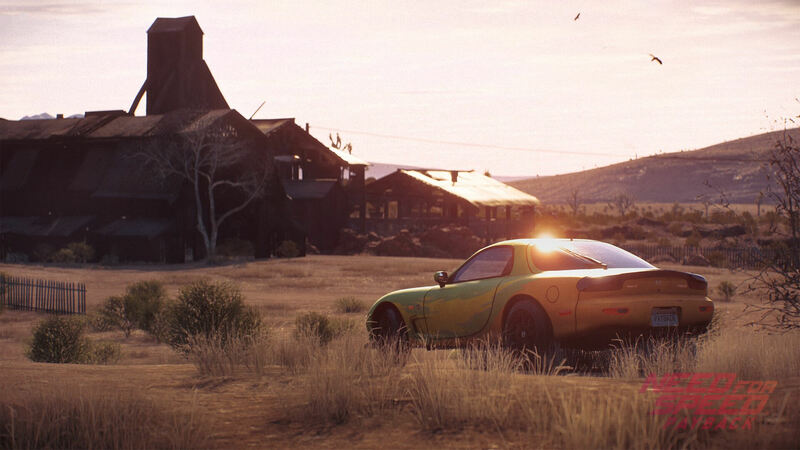 Based on fan-feedback, Ghost Games will be dropping one car per week into the deserted parts of Fortune Valley from June 19th, so be sure to keep your eyes peeled following the release of the next update! Stay tuned to the official Facebook, Twitter, and Instagram pages of Need for Speed to remain updated with these new Abandoned Cars as they’re added. Keep in mind the cadence of these cars may change during some periods but expect a new car to be cycled in on a weekly basis once the update drops. As usual, you’ll need to figure out where it’s hidden – but that’s where social media comes into play! One of the most frustrating experiences when racing online is that initial crash at the start of a race. If you manage to escape it with ease, there’s a good chance you’ll be emerging victorious. However, if you’re smashed out in those first few seconds, prepare to be at the back of the pack as you try to work your way towards not finishing last! 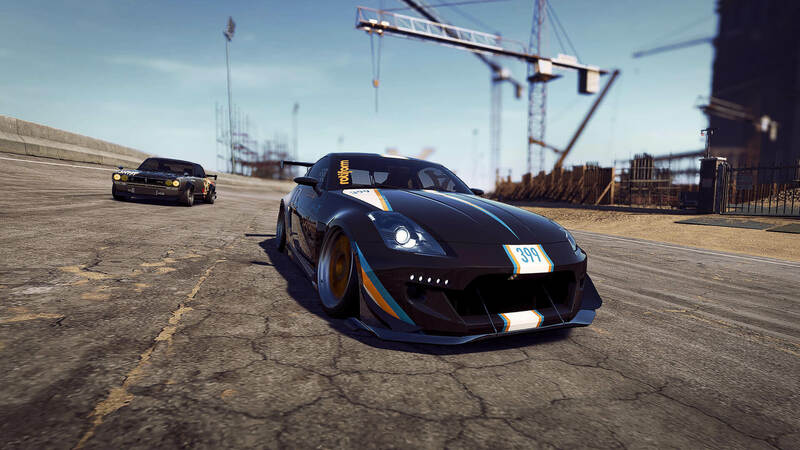 Ghost Games believes it has discovered a solution to this problem, and going forward, the collision detection system will now be suspended for the first 10 seconds of Speedlist races – so you can break away from the pack before the carnage starts. An excellent addition for those who would like to race competitively with ease without the worry of that turn one mayhem. Those who’d prefer an even more immersive Need for Speed Payback experience without all the maps and stats in their face will be happy by the addition of a ‘Toggle UI’ button. The switch can be toggled between ‘On’ and ‘Off’ whenever you desire, allowing you to immerse yourself even further into the world of Fortune Valley. 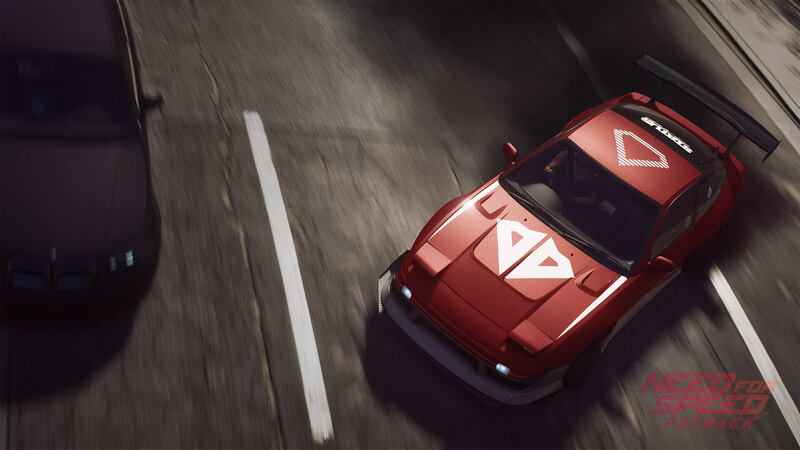 Ghost Games are also introducing a selection of new Vanity Items in its June 2018 content update for Need for Speed Payback. These include Cop Car Sirens – and there will be a selection of four different sirens to choose from. There’s also “a huge variety” of Multi-colour Underglow being introduced, each with different rarity levels. You can only imagine how perfect it’ll be to combine those sirens with a red-and-blue Underglow before launching into a high-speed chase. ‍Fifteen52: Outlaw 003, Penta GT 3 Piece, Evo SC Block 3 Piece, RSR Apex 3 Piece, RSR Chicane 3 Piece, RSR Holeshot 3 Piece, RSR Stage 3 Piece, TurboMac SC 3 Piece. Finally, the wrap limit will be increased from 50 to 100 slots in the June Update, allowing you to create even more designs or download and save liveries made by the community. Customize the look of your cars with even more freedom using the community-curated designs you know and love. Overall, the June Update for Need for Speed Payback is shaping up to address many of the concerns and criticisms of the game from fans by not only adding new content for them to enjoy, but also new features that enhance the overall experience to make it even better. Don’t forget to download it on June 19th for Xbox One, PlayStation 4, and PC. 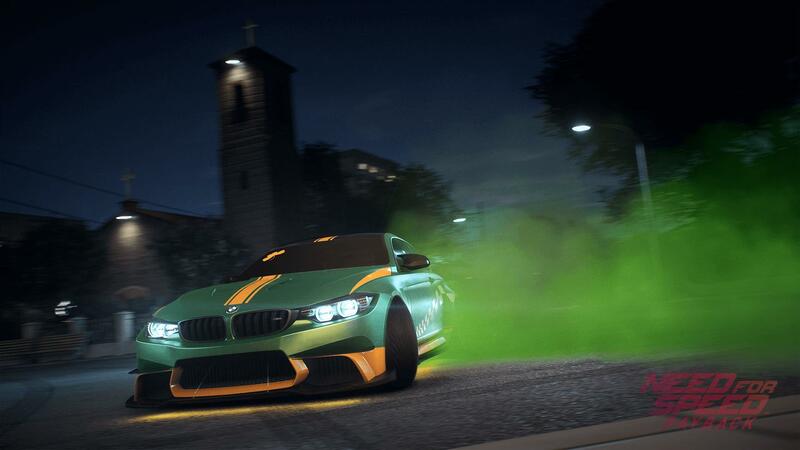 That’s after E3 2018 and EA PLAY, so who knows, perhaps Ghost Games has some additional surprises in store for Need for Speed fans over the coming weeks. Only time will tell!